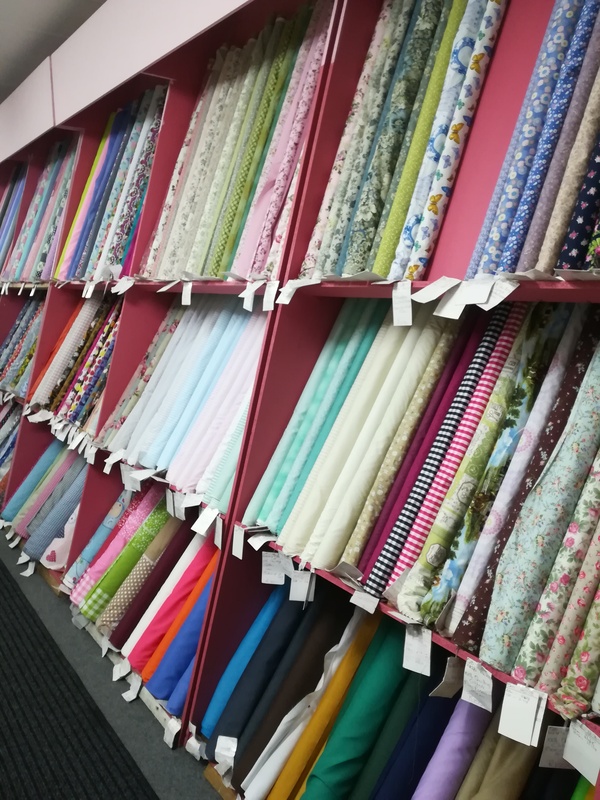 What a wonderful time I had in this fabric shop yesterday. For me it was like being in Aladdin’s cave. DH went off for an hour and did his own thing. We do not have anything like this where I live. Yes, I did buy material and lot of other bits and pieces. The picture just shows one small section of the shop. I have a feeling you live in South Africa. This shop is in George - Western Cape. I live in Knysna. Unfortunately all expensive and most imported. 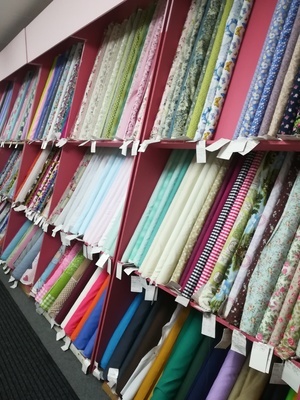 I bought material for cushions as we want to decorate our bedroom. I also bought waterproof lining for my zip bags. I do not make so many shirts for myself these days - only for Klaus. All my shirts are too big since loosing weight last year. That's the way it is at my house too! Wow, great selections...I know you had a wonderful time! Hope you picked up some special prints, too! Had a great time and really had to stop buying too much. Looks like a lot of fun. Glad you got to go there. I'm sure you felt like you had found the "Golden Ticket"! What fun! I hope you left something for the other customers to buy LOL! Enjoy!